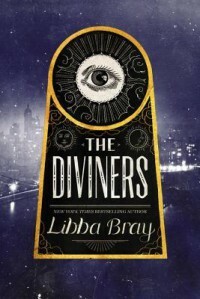 The Diviners - Libba Bray - review - So Many Books...So Little Time! 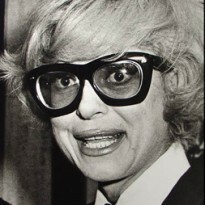 Evie O'Neill is a seventeen year old girl, raised in America's heartland, by upstanding, church-going parents in small-town Indiana. The problem with this idyllic setting is that Evie is WAY bigger than her town and when problems arise due to Evie's "special gift" and the influence of boot-leg alcohol, her parent's suggest she leave home for a while. She ends up in NYC, living with her mother's brother, Uncle Will, and his young assistant, Jericho. This is a dream come true for aspiring flapper, Evie! However, things are not as they seem with quiet Uncle Will, and Evie is surprised when Will's services are requested by NYPD to assist with investigations of a series of gruesome murders. This was really long but it was a great start to what I anticipate to be a good series. This book has most of the player on board, and few left on the periphery where I expect they will be brought into the fold int he next book. Looking forward to it!